Dare I open another blaster of Black Diamond??? Of course!!! I'm not sure if I've opened a blaster of 14/15 Black Diamond, but here goes. Hopefully it will turn out ok. For the money, Black Diamond blaster rarely deliver. Let's just cross the 'ol fingers and give this blaster a go. 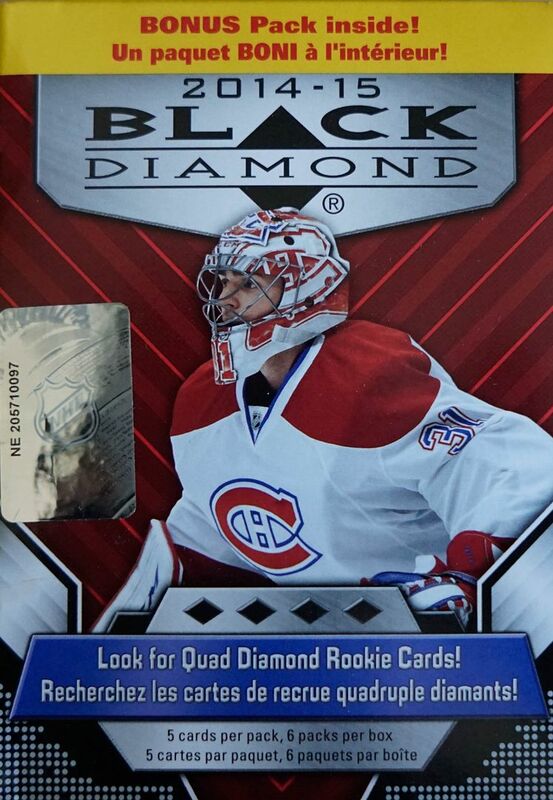 Of all of Upper Deck's products, Black Diamond may be the one that needs the most change. Many of their other products have undergone some sort of transformation for the better... but Black Diamond feels as if it has pretty much stayed the same since its inception. 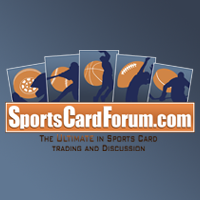 Sure, the cards have a distinctive look unlike anything else out there, but surely there can be something done to make this a more compelling product to buy - especially at the retail level. Like most Black Diamond released over the years, collectors can look for multiple diamond cards in these blasters. Often times you'll find a rookie card as well. 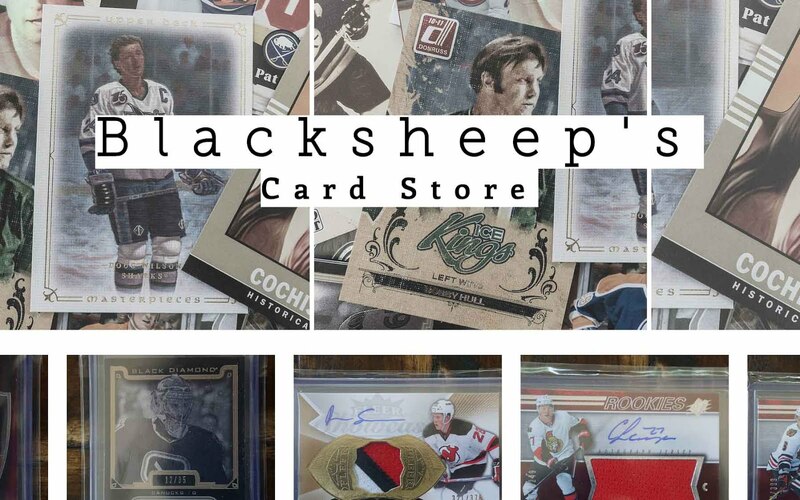 Getting an insert or hit is extremely difficult here, but even when you do, they are typically not worth too much because of the ease of pulling them at the hobby level. Well... to answer my question I asked before the video... no... this blaster did not change my mind at all. It was a typical Black Diamond blaster in every way. There was no hit... but a few cards with multiple diamonds on them. I got a double diamond, a triple diamond, and a triple diamond rookie. The rest of the cards were just single diamonds. I bought this blaster for about eight bucks, but I still feel like it wasn't worth it at all. Man, good thing it wasn't the regular price of twenty dollars! 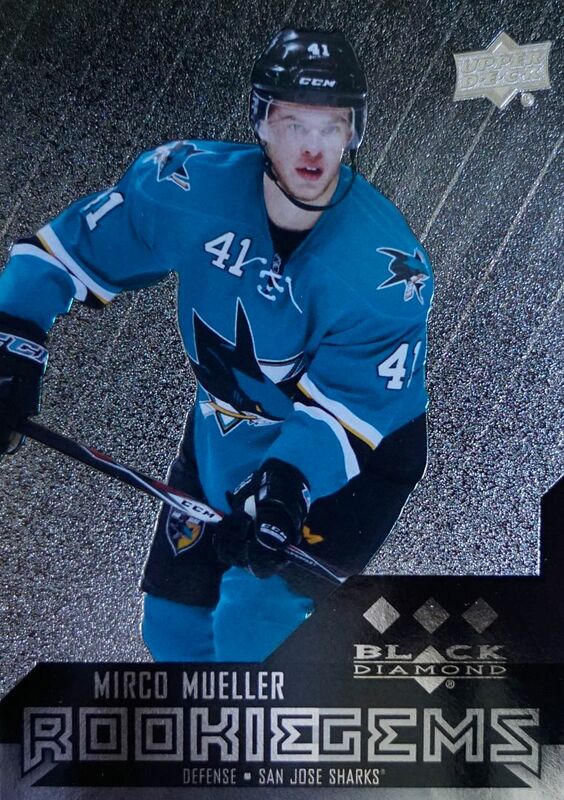 I chose this card over my double diamond because of Doug Wilson's association with the Sharks. 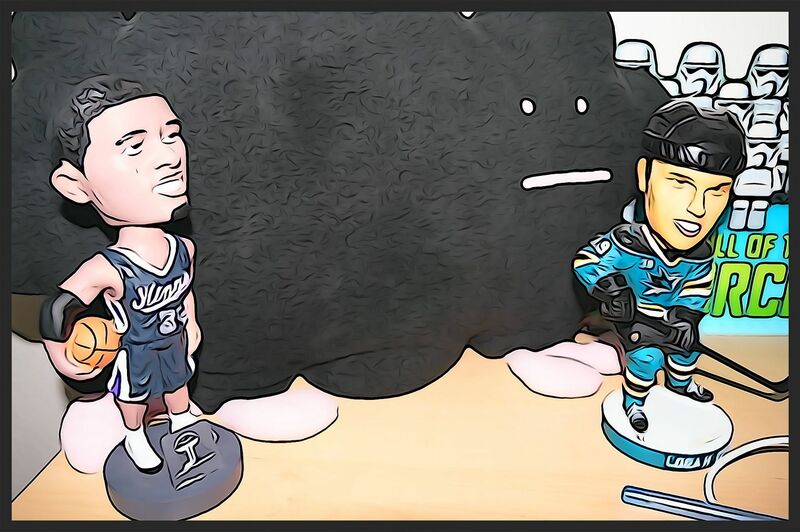 This is actually a pretty cool picture of him when he was with the Hawks! 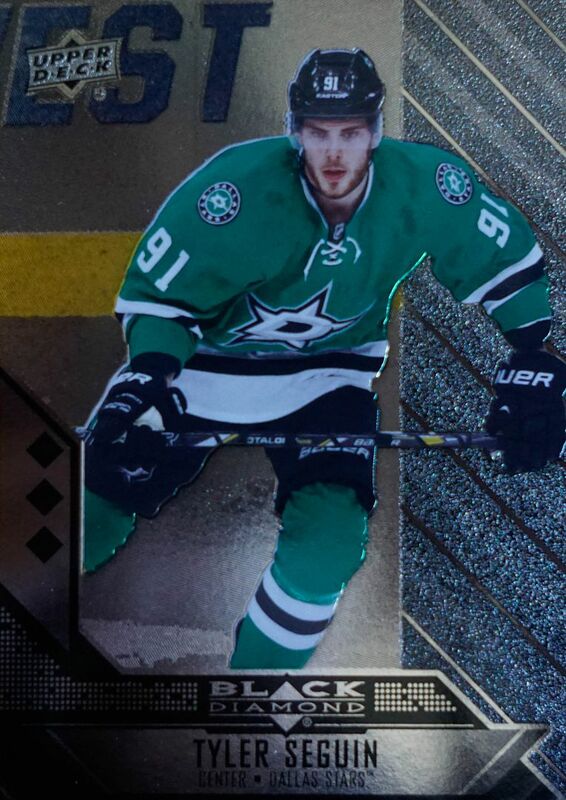 Seguin was my triple diamond in the blaster. I guess that makes it one of the rarest cards pulled. Even though it's a triple diamond, that doesn't mean too much. I'm not sure how many people are going to be hounding me for this card. 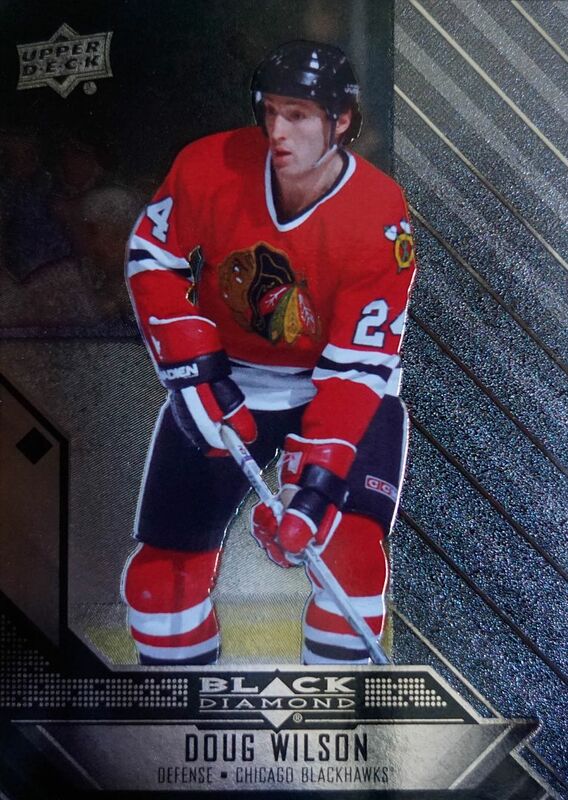 Well, I was actually pretty happy about pulling this Mueller rookie card. I don't have any cards of his and getting one here was a decent last pull for me from this blaster. Black Diamond gets me once again! Will I ever learn? Probably not, but hopefully you will and avoid blasters of Black Diamond if you can help it!